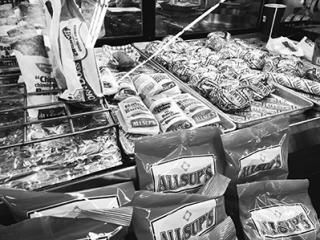 Allsup’s is a staple of Artesia and many other small towns that dot the region. Localized almost entirely in New Mexico, with a few scattered into Texas, it is New Mexico’s No. 1 privately owned corporation. Allsup’s was introduced in Roswell in 1956 under the name Lonnie’s Drive In. It was one of the first establishments where people could buy grocery items, gas, and cooked food all in the same place. Rotisserie chickens, ribs, sausage and doughnuts were prepared and served every day. It was also the first self-service gas station in the area. It was truly a convenient store. Lonnie called it a “drive-in grocery.” Its success spurred Lonnie Allsup and his wife to sell their small store and start a franchise. In 1963, Lonnie moved from Roswell to Clovis and started the Allsup’s franchise as it is known today. It has been part of Artesia ever since and now has more than 300 stores scattered across New Mexico and Texas. Every town has gas stations, but not every town has an Allsup’s. It’s where many people of Artesia get their first job. Some stay and make a long-lasting, secure career out of it. Allsup’s long shifts and many responsibilities, even at the basic clerk level, prepare people for jobs outside of the service industry and teach the value of hard work. Being one of the only places in Artesia open 24/7, the job has its dangers. Because of this, the New Mexico Environmental Health Board mandated that all stores open between 11 p.m. and 7 a.m. have a stationed security guard with any clerks working that shift alone. Clerks are placed in an enclosure behind bulletproof glass, or there must be no fewer than two clerks on duty. The clerks do what they must to make sure anyone can have a burrito or a couple of gallons of gas any time, day or night. Hated by some, loved by many, the Allsup’s burrito has helped power the growth of the franchise. 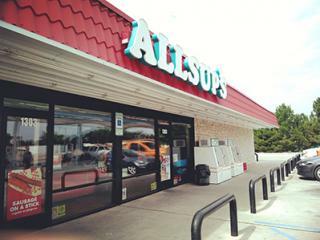 Combined with one of the first 24/7 self-service gasoline stations and staple grocery items like milk and bread, Allsup’s expanded rapidly across the region. Now, people from out of state order whole boxes of the iconic burritos to take home. As long as you are in New Mexico, regardless of time, you can rest easy knowing that you can have some sort of hot food. Allsup’s has a surprisingly large menu, and anything on it can be made to order – even things like turkey legs (my personal favorite!). All Allsup’s have the same smell to them; it is very distinctly Allsup’s. This comes from the fryers that sit in the center of the store. The great fried burrito is not only partly responsible for the store’s success, it also is responsible for the trademark Allsup’s smell. While not as visually impressive as other historical places in Artesia, Allsup’s is very much a part of this town and a little piece of home, regardless of where you go in the Southwest.